“The climax of MASSOB’s war against the Nigerian state was the call for sit-ins and civil disobedience that shut down markets and public services, as Igbos stayed at home in a symbolic gesture to assert Biafran independence. The call was honoured by governors in the two principal Ibo states, though without fanfare. 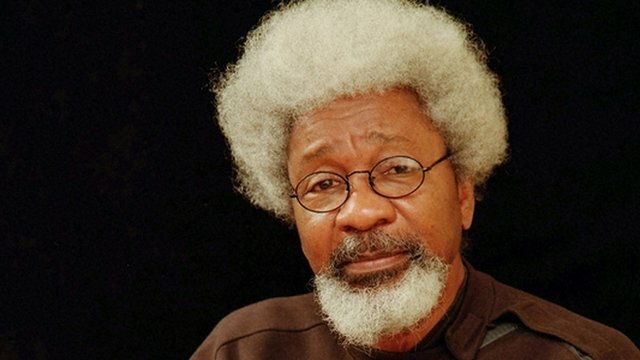 Commenting on the result of Nigeria’s presidential election, Soyinka said the re-election of President Goodluck Jonathan would have been “disastrous”, as Muhammadu Buhari, Nigeria’s president-elect, is better option. “Muhammadu Buhari was the better of the two evils as the incumbent president Goodluck Jonathan had been an unmitigated disaster and failure,” he said. “It was a painful decision to tell people to vote Buhari, but the country needed a new beginning. I was more against Jonathan, than I was pro-Buhari. “The ‘militricians’ – soldiers turned politicians in power – aren’t looking for excellence; their civilian cohorts are worse. Short cuts and how to circumvent the system for the profit of a few are the norm of governance. Those who do honest work are derided as lacking the skill to fit it.